We've all been there. Windows 10 Mobile or Android users but our partner or offspring have gone over to the Dark Side, i.e they're using iPhones. And, out and about, one of these normobs runs their phone dangerously low on power and it's only you (of course) who has brought along a pocket power bank. Typically, they'd then be out of luck because I'll bet that neither they nor you have a spare Lightning cable in your pocket. Except that with this trivially cheap accessory they (and you) are in luck. 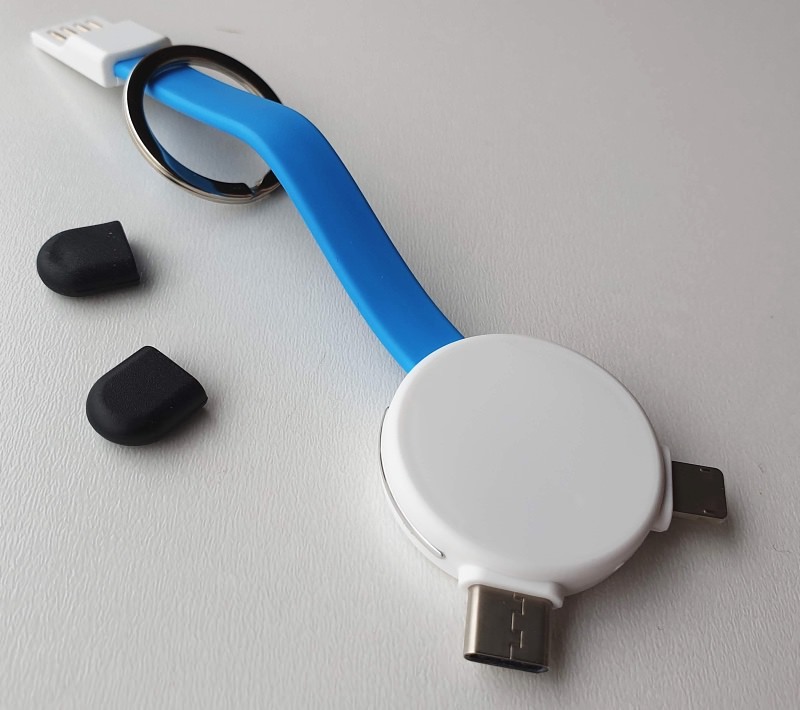 The idea here, as you'll see from the photos, is that a small and light keyring accessory provides a short USB charge cable for microUSB, USB Type C and iPhone/Lightning, i.e. whatever people need - so you bring along a diminutive pocket power bank (like this one) and you're all set to charge up just about anything. The Type C connector is standalone and innately reversible, but the microUSB and Lightning ones are combined, amazingly - and both work, I tested them. 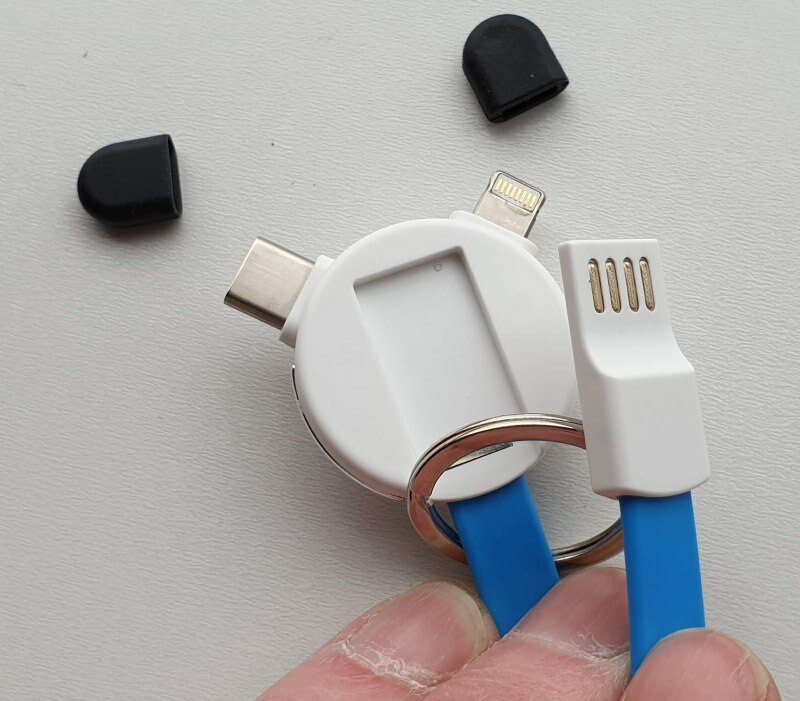 iPhones are charged with the Lightning connectors 'down' and you keep the connector this way up for most microUSB compatible phones and devices too. You'll be wondering, at this price, if all the pins are wired up inside and yes, they seem to be - I was able to transfer files from a desktop to a Type C phone. Amazing. 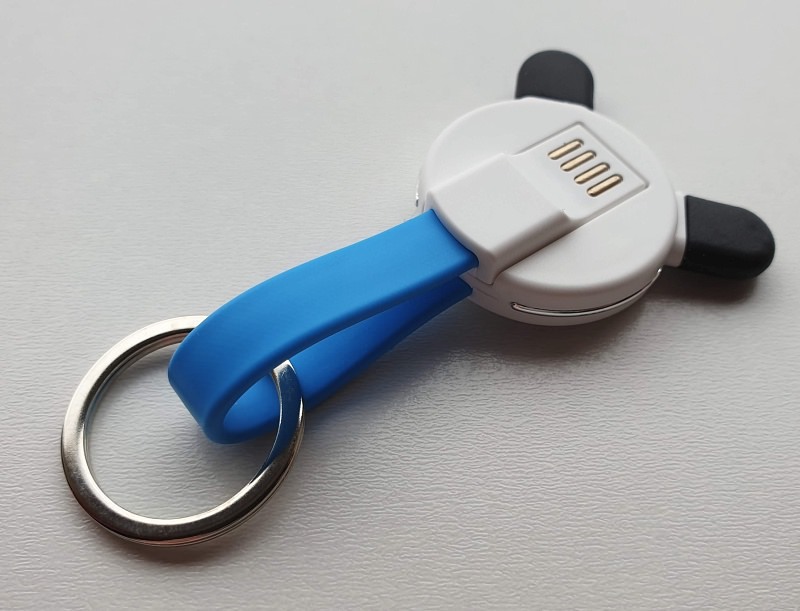 Neat, smart, and it comes in a range of colours, just £2.50 including postage at Amazon UK.